Detroit police are working to identify a human skull discovered on the city's west side. Police say the skull was found Sunday in a flower pot at a building in the 1500 block of Grand River. The skull was reportedly missing the lower jaw area. At this point, it is unclear how old the skull is or how it ended up in the flower pot. 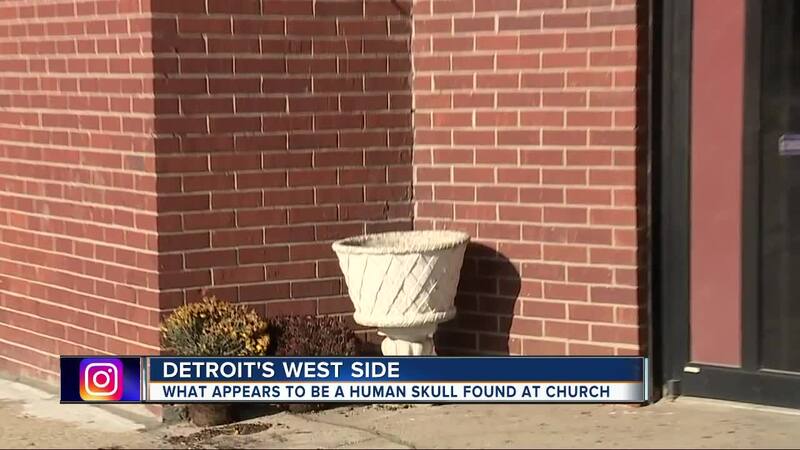 Detroit police are working to identify a human skull discovered on the city's west side. Police say the skull was found Sunday in a flower pot at a building in the 1500 block of Grand River. The skull was reportedly missing the lower jaw area. At this point, it is unclear how old the skull is or how it ended up in the flower pot.